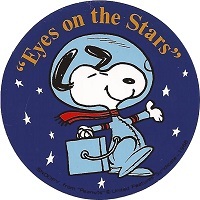 NASA has shared a proud association with Charles M. Schulz and his American icon Snoopy since Apollo missions began in the 1960s. Schulz created comic strips depicting Snoopy on the Moon, capturing public excitement about America’s achievements in space. In May 1969, Apollo 10 astronauts traveled to the Moon for a final checkout before lunar landings on later missions. 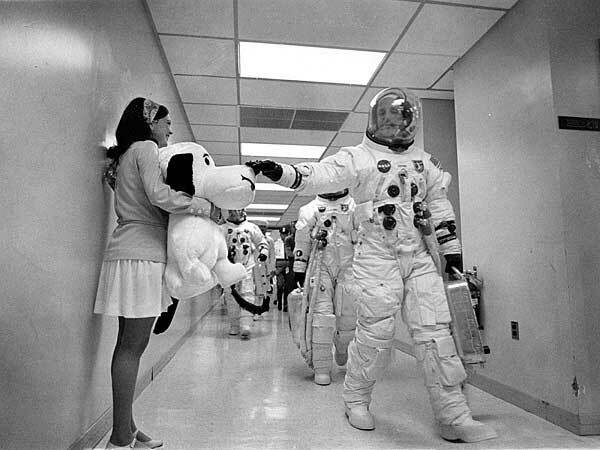 Because the mission required the lunar module to skim the Moon’s surface to within 50,000 feet and “snoop around” scouting the Apollo 11 landing site, the crew named the lunar module Snoopy. 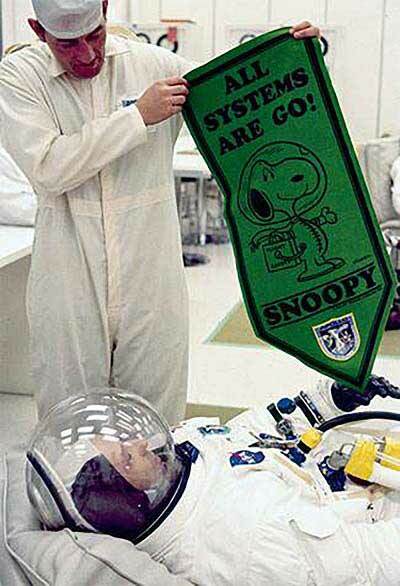 The command module was named Charlie Brown, Snoopy’s loyal owner. The agency’s Silver Snoopy award is given by NASA astronauts to employees and contractors for outstanding achievements related to human flight safety or mission success. Receiving one is regarded as a high honor for outstanding performance. NASA is leading the next steps of human exploration into deep space where astronauts will build and begin testing the systems near the Moon needed for lunar surface missions and exploration to other destinations farther from Earth, including Mars. Exploration Mission-1 will be the first integrated test of NASA’s deep space exploration systems: the Orion spacecraft, Space Launch System (SLS) rocket and the ground systems at Kennedy Space Center in Cape Canaveral, Florida. The first in a series of increasingly complex missions, Exploration Mission-1 will be an uncrewed flight test that will provide a foundation for subsequent missions with crew, and demonstrate our commitment and capability to extend human existence to the Moon and beyond. If I recall correctly… After Apollo 9’s “Spider & Gumdrop” and 10’s “Charlie Brown & Snoopy” NASA caught flak from politicians over the names so they took a little control over the naming. Yeah, that went downhill real fast. I won’t say it went downhill but it was a bit less fun. I love the story about Gemini 3 and how Grissom wanted to name it ‘Molly Brown’. When they refused to let him, he said he would name it ‘Titanic’. After that, astronauts could no longer name their ships.